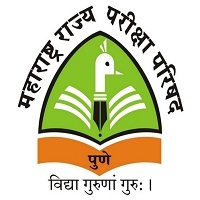 To recruit teachers at various public schools in the state of Uttar Pradesh, UPBEB (Uttar Pradesh Basic Education Board) conducts UPTET (Uttar Pradesh Teacher Eligibility Test). It is an annually held State level recruitment examination. This exam is a rite of passage for all the candidates who wish to apply for the posts of primary (Class I to Class V) as well as secondary school (Class VI to Class VIII) teachers in Uttar Pradesh. For those candidates that want their career as teachers in the state of Uttar Pradesh, UPTET 2019 is mandatory. UPTET 2019 application forms are expected to release in August 2019. The age of the applicant must be between 18 Years and 35 Years. As per the norms prescribed by the government, the candidates who belong to reserved categories would be given age relaxation. Studying in the final year of D.Ed (Specialization) in an institute recognized by RCI. Studying in the 2nd year of BTC/ passed in an institute affiliated to NCTE. Studying in the 2nd year of BTC (Urdu)/ passed in an institute affiliated to NCTE. In final year/ passed Diploma in Teaching from Aligarh Muslim University. Moa’llim-e-Urdu degree holders from Aligarh Muslim University before August 11, 1997 (for Urdu Teaching). Candidates who are currently studying in the final year or passed B.S.C.Ed or B.EL.ED. 2nd year of B.Ed in an institute affiliated to NCTE. 2nd year of L.T. in an institute affiliated to NCTE. 2nd year of B.Ed (Specialization) in an institute affiliated to RCI. On the official website of UPBEB, the UPTET application form will be available which is ‘upbasiceduboard.gov.in’. Fill all the necessary details in the application form and upload their scanned photograph and signature. There will be an examination fee which candidates will pay thru the credit card, debit card or net banking. Candidates need to take the printout of the application form and save that for future reference. The fees have to be paid either online or offline. Online payment can be done by SBI Internet Banking / Debit Cards / Credit Cards/internet banking facility of other banks. For the primary level (from class I-V): The paper-1 will be conducted. Paper 1 is held for the candidates who have applied for the appointment of teacher for class 1 to class 5. Paper 2 is held for the candidates who have applied for the appointment of teacher for class 6 to class 8. 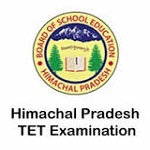 There is no provision of negative marking in UPTET. The admit card will be available on the official website of the exam conducting authority. After the successful submission of the application form, candidates will get the admit card. It will be necessary for all the applicants to take admit card with them at the time of examination. Official UPTET Answer Key will be released by the end of this year. Providing a copy of UPTET Admit Card and Photo Identity Card, the eligibility certificate can be taken from the district education board. For Social studies: Economics and static GK, UP Related questions, History, geography, social and political life, social studies pedagogy. For Mathematics: Time, work, speed &distance, algebra & mensuration, geometry, average, profit & loss, Number system & simplification, percentage & ratio, the pedagogy of mathematics.